With five OUA teams in the CIS top ten; Carleton (1), Ottawa (2), McMaster (5), Windsor (7) and Ryerson (8), we knew one of these teams wouldn’t make the OUA final four. Despite being ranked fourth or fifth in the CIS for most of the season and coming within three-points of handing Carleton their first loss of the season, Ryerson would fall short by a single point to the Gee-Gees in a game that saw nine lead changes. The Carleton Ravens are sitting on a perfect record this season and easily got by Laurentian in the OUA East semi-finals with a 111-77 victory. Their only losses this season came in pre-season exhibition games against NCAA teams Syracuse, in overtime, and Cincinnati. The closest thing to a blemish on the Carleton record this season is a 3-point win over Ryerson. The Rams led through most of the game, holding Carleton to their worst shooting percentage of the season. The Ravens’ stats at both ends of the court are impressive. They have been outscoring their opponents by an average of 30 points, with a field goal percentage just under 50% while holding their opponents to 36%. They lead the CIS in field goal percentage, 3-point percentage, free throw percentage and rebounding efficiency, collecting 61% of the rebounds. Ottawa’s only two losses, not surprisingly, came at the hand of the Ravens, but they’ve dominated their opponents in all but a few of their games. In the OUA East semi-finals, the Gee-Gees had one of their poorest shooting performances with 27-77 shooting against the Rams. Ryerson produced 31 bench points but gave up 14 turnovers, allowing the Gee-Gees to win it from the free throw line. The Gee-Gees have demonstrated strong shooting throughout the season with a 49% field goal percentage, 40% from the three-point line and led the league with 96.4 points per game. Defence may be their weakness, as they allow their opponent to shoot 41% for an average of 78 points per game. After falling short of the final four last season, McMaster finished this season atop the OUA West division, having lost three games to OUA East teams (Carleton, Ottawa and Laurentian) and splitting games with Windsor. Their record advanced them to the division semi-finals against Western. While Western held the lead after the first quarter, McMaster took over in the second, only allowing Western 6 points. Rebounding and turnovers were major factors allowing McMaster to win 83-49. With a respectable 45% field goal percentage, the Marauders hold their opponent to 39% shooting allowing them to win by an average of 16 points. They are efficient on the glass, collecting 55% of the rebounds. Struggles at the free throw line, however, could be the difference in close games. Lakehead denied Windsor the bronze medal and a trip to the CIS final 8 last season, so they are hungry to try again. The Lancers fell to Carleton, Ottawa and Ryerson, but split their series with Lakehead, McMaster and Waterloo. Finishing second in the OUA West division earned them an OUA semi-final appearance against Laurier. Out-rebounding Laurier 53-38, the Lancers generated 17 second chance points, and dominated the key, scoring 50 points from the inside. Windsor’s offensive numbers are the lowest of the final four, shooting 43% from the field, 35% from the three and averaging 82 points per game. They grab 53% of the rebounds, but they also struggle from the free throw line. The Windsor Lancers were the last CIS team to beat Carleton. They won 71-67 on November 9, 2012 in the season opener. Therefore, history has shown, it can be done. Fast-forward to this season’s opener between these two teams. Carleton defeated Windsor with solid rebounding, three-point shooting and free throw shooting for a 95-74 win. The Raven’s top scorer, Philip Scrubb will be a key factor in this game. He posted 24 points in each of his last two appearances against Windsor and is always a threat. Kevin Churchill posted a season-high 19 points against Windsor in the opener, and could be a factor again. Lien Phillip will need to play a critical role if Windsor is going to win. He averages a double-double (16 points, 13 rebounds) and he will need to rebound and be a factor on the scoreboard. Enrico Diloreto leads the Lancers in scoring despite only shooting about 39%. He has come up big in tough games, shooting 56% for 29 points against Ottawa and 26 points in both appearances against McMaster. 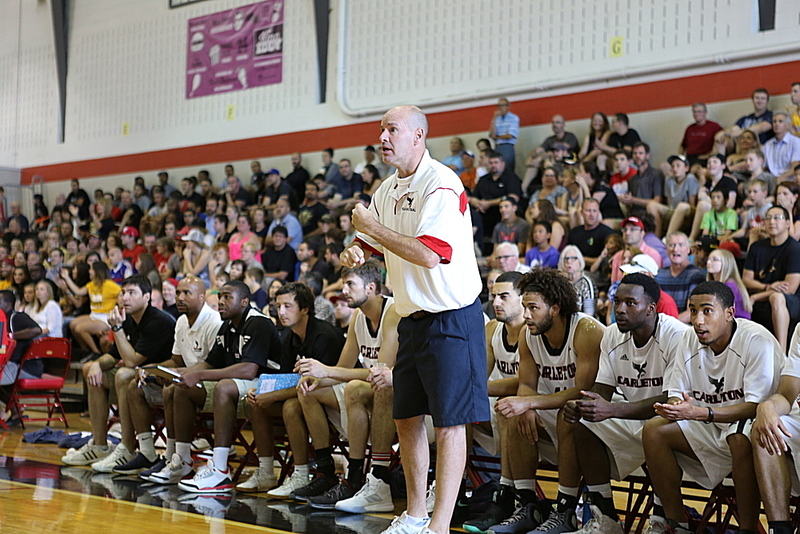 The biggest threat for Carleton, at this stage is complacency. With the exception of one close game against Ryerson, they have dominated in every game. The players will have to stay focused, and avoid the temptation to take their foot off the gas. In order to survive in this game, Windsor will have to find a way to defend Carleton without fouling them. The Ravens basically won the season opener from the free throw line, with Windsor taking 25 fouls leading to 29 points. Offensively, Ottawa has an edge in every category, most notably in points per game. When these teams met back in November, Ottawa won 100-85 thanks to an inside shooting edge and a strong showing at the free-throw line. In November, Johhny Berhanemeskel scored a season-high 38 points against McMaster shooting 67%. At that point, Terry Thomas was not yet eligible to play. He has since provided two 40+ point performances for Ottawa and will surely be noticed. Look for Taylor Black to lead his team in rebounds and on the scoreboard. He is averaging 14 points and 8 rebounds per game. Joe Rocca leads his team in scoring, but struggled against Ottawa last time. Rohan Boney hit a double-double with 10 points and 11 rebounds against Ottawa and should be a factor again. Ottawa will need to distribute the ball to find quality shot opportunities and avoid being forced into shots. A low shot percentage will mean more rebounds, and the Marauders are the better rebounding team. The Marauders had 37 points from the bench in their last game with Ottawa, and they will need those again if they’re going to use their bench to keep fresh defenders on Ottawa’s shooters. They also need to hit their free-throws. It’s a fairly sure bet that the Gee-Gees and Ravens will compete for the Gold medal, leaving McMaster and Windsor competing for Bronze. These teams aren’t only competing for the bronze, but also for a spot in the CIS Final 8 and Windsor will likely be left on the outside looking in again this season. As hungry as Ottawa is for the trophy, and to defeat their cross-town rival, it’s unlikely they will hoist the Wilson Cup. The Carleton Ravens will certainly be hanging another OUA Championship banner at the Ravens’ nest.